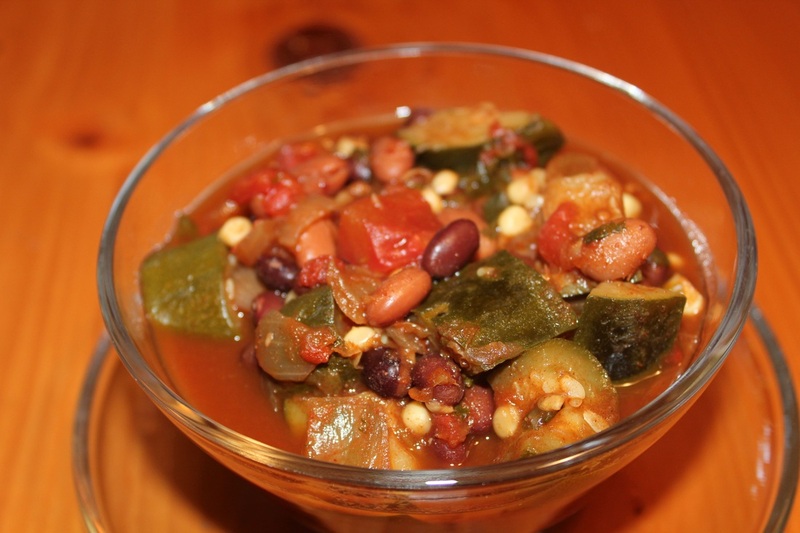 A wonderful chili with enough substance you won't notice it's meatless. This chili has some heat to it but is not too spicy. You can easily substitute dry beans and cook them following one of the methods here.